You are here: Home / Kanji & Kana / 4. 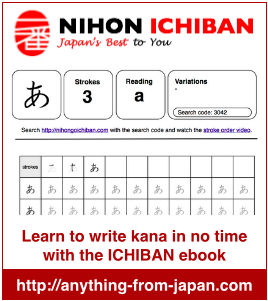 Kanji JLPT N5 / Please let us know what you thought of the 103 First Kanji E-book !! The best way to learn Kanji is to use them alone and in compounds (jukugo) with the main readings (on and kun) in a sentence context. Also hints about the structure (radical, picture e.t.c.) are helpful. Thank you. I will share with others. I highly recommend this free e-book to students or graduates for daily upkeep in the Japanese language.